You can help support our mission to strengthen communities throughout Harris County! We are made up of dedicated members who support and promote library programs and activities through fundraising, grants and donations. We believe that the library enriches lives and strengthens the Harris County community through its innovative services. Harris County Friends of the Library (HCFOL) supports literacy, programming, collection development, and organizational growth in the most heavily populated county in Texas. Some of the programs we support are the popular Summer Reading Program, Book Buddies, and Tournament of Books. We also provide grants to every HCPL branch, and offer scholarships to HCPL employees pursuing a degree in library science. More than 3.4 million people were served by the Harris County Public Library system in 2017. Over six hundred thousand programs are presented annually at Harris County Public Library branches and in the community. During 2018, over thirteen thousand teens, kids, and babies participated in the Summer Reading Program. Lifelong literacy is central to the mission of Harris County Public Library. We help out by providing support for its dynamic programming that inspires a love of reading. We connect readers and learners of all ages to enriching programs in our branches and beyond. Book Buddies is a free program that brings children and adult or teen volunteers together to share the joy of reading. The Big Buddies help their Little Buddies select books which they read together. At the end of the program, we provide books for the Big Buddies to gift to their Little Buddies. 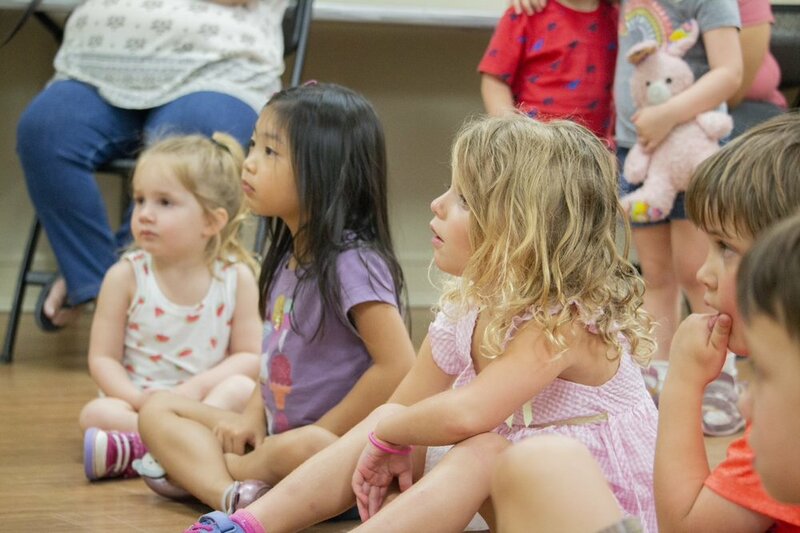 Every summer, thousands of customers stream into HCPL branches for the exciting programming and special events that come with Summer Reading. The Friends provide crucial support in the form of funds for books and special programs. Tournament of Books pits teams of teens against each other in a competition for the (teen)ages! Teams read through a set of pre-selected books and face off at competitions, where they test their knowledge of the books against rivaling teams. The Friends feed the hungry teens during this growing program. Every year, the Friends provide mini-grants to each of the 26 HCPL branches. The branches have the freedom to complete any projects they wish. They share those projects with us, and we celebrate their achievements at our annual meeting. Whatever your level of interest may be, we want you! We are always looking for new Friends to join us, or we can connect you to your closest branch if you are looking for library volunteer opportunities. If you are short on time but still want to support our mission, please consider donating! Your donations go to support the HCPL Summer Reading Program, Book Buddies, Tournament of Books, and much, much more! Your dollars count! Without your support, we could not provide crucial support to a variety of HCPL programs and services. We can connect you to your closest Harris County Public Library branch location if you are looking to volunteer. Please consider joining our organization! We are always on the lookout for new Friends to bring fresh ideas to HCFOL.